Broward Nelson provides Yachts and Cruise Ships with "One Stop Shopping" for their Soda, Beverage, Beer and Carbonic Gas needs. Broward Nelson Sells and Leases a variety of Soda Machines and Beverage Dispensing Equipment. Broward Nelson will Custom Design a Beverage Dispensing System to fit any location. With tanks as small as 5 lbs., we can fit an entire Soda System under a kitchen cabinet or Yacht Bar. We usually install Bar Guns for these locations because of the lack of space available. Our service is second-to-none and our drivers are friendly and knowledgeable. We believe in "ONE STOP SHOPPING" where one phone call will handle all your Yacht & Cruise Ship Beverage Dispensing needs! 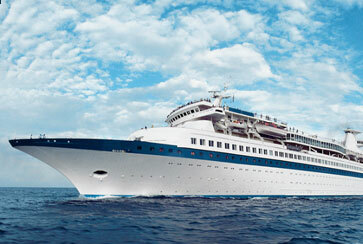 Please Click Here to view the Features we offer to Yacht & Cruise Ships .